Fanatics Double Cash is Back! Just in time for the MLB playoffs, football season, and holiday shopping, you will earn Double Cash Back on Fanatics digital gift card purchases. Percentages shown in your account reflect the extra cash back offered. Offer is available during October while supplies last and subject to regular purchasing limits. Fanatics isn't just their name. It's who they are—loyal, passionate fans, dedicated to our favorite teams and to the sports we love. 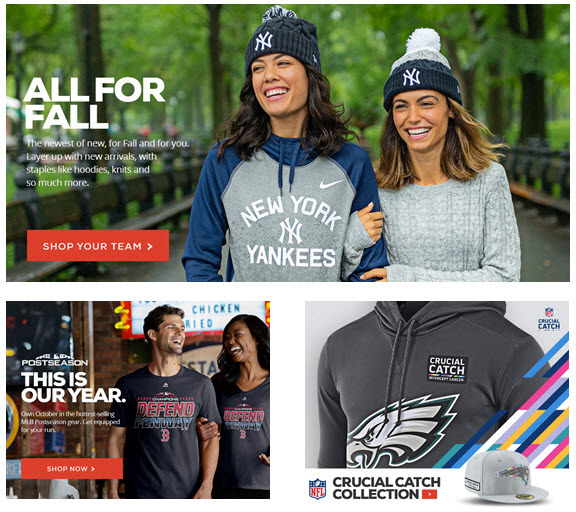 That's why they're honored to be able to offer fans the world's largest collection of official sports apparel from all the leagues, teams and players you love.